In my September Roundup, I talked about starting a “Survival Saturday” series of posts where I make a survival meal each month and let you all know how it turned out and any do’s or don’t’s that I learn along the way. I figured I’d do this Intro Post where I write out all the Why’s and Wherefore’s so I don’t have to add that to each Survival Saturday post. First off, Mrs Bookstooge and I are NOT DOOMSDAY PREPPERS. We both have conditions that need daily or monthly medication that only a fully functioning First World Country can provide. We are healthy but we got the short end of the genepool stick. So if the world goes to pot tomorrow, we’ll probably both be dead in 60-90’s day. However, as good responsible citizens of the United States, it is our right and duty to Vote AND to take care of ourselves. Taking care of one’s self includes being prepared for a 30 day emergency. The current climate of hurricanes hitting super hard doesn’t directly affect us here in the North East, but it does affect us and things can just happen. So I’ve wanted to be prepared, just in case. That is the WHY of why I have 2 pantries worth of Survival Food. I’ve got 2 different company’s food and will take a picture of each package, front and back, which will give you all the details that I have. I’ll be including calorie count, etc. Each packet is supposed to be 4 servings, but that is one thing I’ll be looking at when we eat these. Are those serving realistic or not? Also, all foods are vegetarian, so even when something has”chicken” or “beef” in its title, it is not actually meat. I am not being paid, in any shape, way or form to do this. I bought all of this with my own money and so will be pretty hard on the stuff. I’ll also be providing links to the companies as appropriate. That being said, this stuff IS survival food, not gourmet 3 course dinners. I already know that while it provides calories, almost none of these foods will provide you the vitamins and minerals we all take for granted in our foods nowadays. To survive 2 months on these rations, you’ll need to take a multivitamin with every meal. So start hoarding those Flintstone’s vitamins! I think that sums up everything for an intro post. If you have other questions or I forgot something glaringly obvious, please leave a comment. This entry was posted in Food and tagged 2017, Food, Survival Saturday. Interesting post. This is a really sensible idea. My question is: where do you keep your water and how much of it do you have? It looks like all of your meals are freeze dried and will need clean water to make up. When our city fell apart the power came back on relatively quickly but the water was disgusting. Even if you boiled it, it still had horrible sediment in it. It took weeks for the water quality to improve. I live about a 1/4mile from a decent sized brook, bordering on “river” size. We live in a condo, so our space is extremely limited and water takes up a LOT of space. But it is an issue I am aware of. I considered MRE’s and maybe if these turn out really, really, really bad, will invest in them, as I believe they are completely self-contained. But that type of thing is what I want to find out while doing this. Even bringing up the water issue, that wasn’t something I was particularly thinking of, but as you pointed out, it is a main issue. It depends what kind of disasters are likely to hit your area. Most our waterways were contaiminated as all the sewerage pipes in the city broke. You probably only need a day or two’s supply as usually after that tankers arrive with water. Just make sure you have a good empty container. If water storage isn’t an option because of space issues, you might consider getting some sort of filter and a short term amount of water stored enough for 72 hours. A distiller or RO (reverse osmosis) machine might be an option. I’ve also seen a bladder that can go in your tube that you could fill if there was enough warning. We are not preppers either, but we do have a supply of survival food, water, as well as stuff like a radio, first aid kit, fire starters, water purification tablets, flashlights, multitool, etc. I agree it’s everyone’s responsibility to be prepared and I feel pretty comfortable knowing that we’d probably do okay in an emergency situation. That’s awesome that you have a survival kit. It’s a good idea to have an emergency plan, if you don’t already, like where you will meet people or how you will stay in contact. Emergency events can happen at really inconvient times. It took me about 3 hours to get home from work after our big earthquake and the cellphone towers stopped working. We also have, at my sister’s insistence, a bugout bag with all our really important papers in it. Fire, flood, etc, we just grab it and go! This sounds like such an interesting project. Some of my relatives have been talking recently about stocking up on some survival food, but I admit I personally haven’t looked much into it. It will be great to see your opinions on the different options available. To be honest, just seeing how to make the stuff and what it tastes like is my big goal. The little details that will decide if this stuff is worth re-buying or not. Makes sense to me! You might as well eat something edible and reasonably easy to make if you find yourself in a survival situation! Looking forward to reading more on this post kind of bost. I am realy sad at wat is happening over on that side of the world. Should the need arise to where you need to survive, have you got some books stashed aswell? Thankfully, we are well prepared with books. My kindle can last up to 2 weeks without a recharge and has about 6months worth of books on it. We also have a second bedroom in our condo that we call our book room. Walls are lined with filled bookshelves 🙂 So we even have a supply of paper to get fires started if necessary! They might be a huge improvement over the tv series, but they are really derivative hack writing. The series has been ongoing since the late 70’s and I’ve heard that he’s going to end it in the next book or two. We’re not a species that easily lives naked in our natural environment. In fact we may be the only animal that can’t really be said to have a “natural” environment. Unlike other animals we don’t come into this world with our survival equipment built-in. Nature didn’t provide us with claws on the tips of our fingers, but inside our heads. I’m not a prepper myself, but I believe the basic premise of prepping is that many of the systems we depend on, whilst technologically sophisticated, are actually quite fragile and that numerous plausible scenarios could lead to a temporary breakdown of civilised society (c.f. hurricane Katrina). Isn’t this is the vanilla prepper scenario, not the end-of-days stuff? Let’s not forget that for 99% of our history, humans lived like this, hidden wherever we could find shelter, eating whatever we could catch and trying to find ways to store it and protecting for as long as possible. It only takes one catastrophic event to take us back to that. it could be something as simple as a random virus mutation, or a volcanic erruption, a freak solar flare. A civilisation built in 2000 years of relative stability could collapse in a month. I’m curious to know the contents of your stored meals. We don’t have anything like that here, apart from canned food. Is that what you have in your survival kits? NB: People with skills and tools tool to farm, create medicine and have the knowledge to build a rudimentary radio out of two bits of spoon and an otter ear are going g to be the very first people I enslave to be worked to death on my post apocalypse plantation, they’ll then be made into soup. A hurricane might not be what affects you, but “something” could. As you said, our system of life is pretty fragile and it doesn’t take much to break it down. Part of the pictures for each meal with show the ingredients. And if the pix don’t come out real well, I’ll be listing all the nutritional info, including the ingredients. 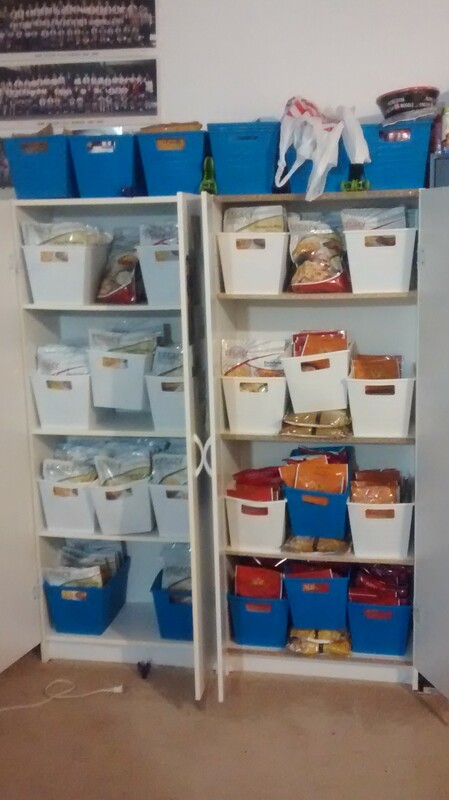 Our stuff is dehydrated, freeze dried packages. Vacuum sealed, which is why it is supposed to have a 20-25year shelf life. Looking forward to your next posts on the subject! Exactly, you never know. What if the subway went down? What if power stayed off for 2 weeks? It doesn’t even need to necessarily hit your area. We’ve had brief periods where food didn’t get to grocery stores because gasoline supplies had been slowed when refineries shut down or were damaged. So far I haven’t seen this in USA, only in other countries, but rioters barricading roads and burning things in the streets can prevent food trucks getting through. If I didn’t, like Bookstooge, have health issues, I think I’d buy a potato farm in Idaho, and an armored road-warrior style truck with spikes and stuff for the drive up there! Hurray for potato farms! Sadly, knowing I’m one of the diebacks in a bad situation keeps me from exploring my potato farm dream. Crushed, like a bug! I really like the whole idea of this. Just spending a bit of time to use what you’ve got and see where the holes are. We should be a lot more prepared than we are. We’re still students and seem to move every other year so space and the potential that we might end up needing to move again has kept us from getting too much. We’ve got a bit of food and water set aside but that’s mostly it for the moment. I’ve been trying my hand at growing stuff on the patio but pretty much failing horribly. Basically once we’ve got somewhere we know we’ll be staying long term then we’ll fill out what we got and hope we never have to use it. The urbanization of the world, and the moving around, really work against self-sufficiency. A good reason to try these products out. See if they are actually worth investing money and space into. When thinking about this and planning, the thing to remember is that it doesn’t even have to be local for things to heavily and drastically effect you and your family. Economics teaches it that it just takes ONE break in the supply chain before things are spiraling…not to create a sense of fright, but cyber warfare attacks things that we don’t even have a concept of, like our power plants. When the hurricane hit Houston, there was perceived oil shortages because of the refinery. REAL oil shortages would affect the entire country in ways we barely conceive because hardly anything is local. We had become more aware of the need for proper planning after 9/11 and then fell away from it in the business of everyday life — but your post gave David and I an opportunity to realize how negligent we’ve been since we’re responsible for our littles. :). This will be a fun series, I think! My sister lived off MRE’s in Iraq. She would say that there were only a couple that were good, then some that were tolerable, then some that were horrible, bottom of the barrel stuff. I’ll have to see if she remembers which ones where “good”. Dang right, we’re totally interconnected. As NW pointed out above, water is an issue with these foods. I’m considering laying in a stock of mre’s or even just plain canned food [which is good for a solid year] and cycle through that too. Heck, I’d like to burn the tax section anyway! Woah, that’s a good idea. You never know what happens! It’ll be interesting to see how you like those food packs and how difficult it is to prepare them..
We do have a water tank & a good veg garden, as well as chickens we could eat haha, but are not really prepared for disaster! Next year we are probably going to move to an area that has seen a couple of bush fires, so this is definitely something we need to look into and be well prepared for. Even just being aware that you need to be prepared can make a difference. We live in a bushfire area. Having a plan and resources is a good idea. Though still not convinced that prepping plans for the right things. You thinking of looking at water filters? I’ve got a couple of “life straws” around the house, so for drinking we’d be ok.
We try to keep a supply of canned food. I’d rather eat the neighbors than most of those packaged meals. Well, I sure hope these food packs are tastier than our neighbors! Mrs B has to take them because she can’t absorb all the nutrients from the food she eats because of her crohns disease. If we ever have a zombie apocalypse, I’m just checking out right away. I’m not trying to survive that level of crap! OK, you got your rations. What about “food for thought”? What books would you hoard? Thankfully, the 2nd room in our condo is our “book room”. 8-10 bookshelves filled with our books. About 1/4 of them are books I bought back in my teens or 20’s, so some of the quality might be suspect [I’m looking at you, Shannara series!] but we’ve got a good mix of non-ficition to pulp to classics. Very good blog. I love it. Let us not forget about medicines. You can prep a lot of fish antibiotics and pet medicines without a prescription. They work on humans too. I’ve been meaning for a while to put together something like this. 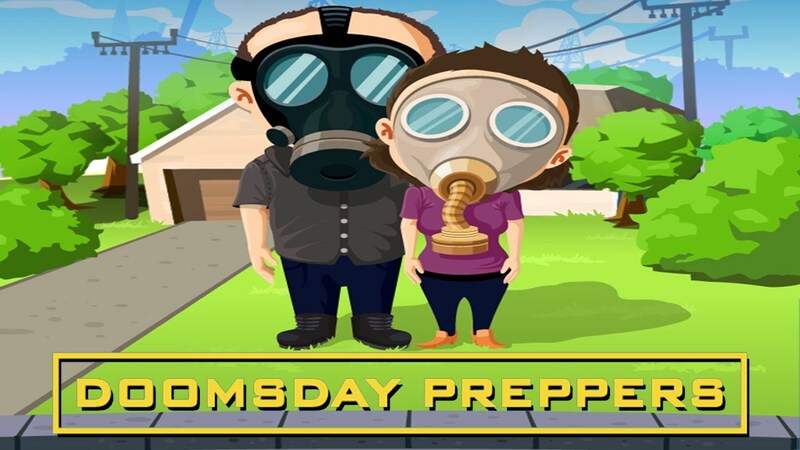 I’m also not a prepper, but you never know when disaster may strike and leave an area without electricity or water or clean out the grocery stores. A couple months ago I bought a month’s supply of food from My Patriot Supply. Now that’s for one person, so would only last my family probably a week or so, but one step at a time. I’m also aware that I’d need hot water, so I’m working on a supply of water and an independent heating element. Oi. Anyway, looking forward to going through these points. Yeah, once I get a good run in the food side, a non electric way to cook it will be my next goal. Maybe next year?